Some people are prone to getting canker sores from time to time. These are small mouth ulcers that manifest inside the mouth. While the sore normally heals within a week or so, those who get it can expect agonizing pain whenever they eat, brush their teeth or even touch it with their tongue. A drug known as amlexanox is normally used to numb the pain. Amlexanox, however, may also prove to be an effective weight loss supplement. A study conducted by the University of Michigan shows that the drug contains properties that make obese laboratory mice thin even without diet or exercise. So far, the test has only been performed on mice, and what works on rodents may not necessarily work on humans. In the study, mice were given a high-fat diet, which ballooned their weight. 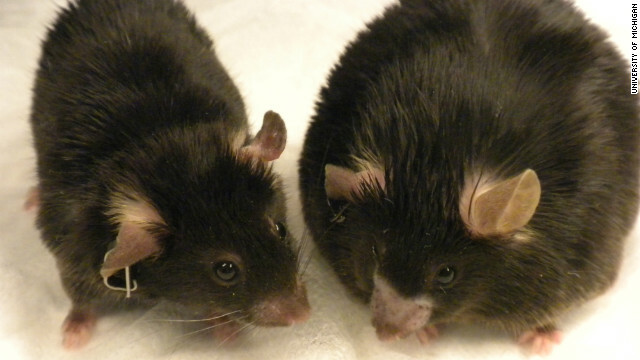 The obese mice were then injected with amlexanox and subsequently lost weight, even though they were continually fed the same diet and did not exercise. When taken off the drug, the weight quickly came back. If amlexanox has the same effect on humans, then it could potentially be one of the biggest breakthroughs since Viagra, which was originally intended as a drug for treating chest pain but was later found to be effective for correcting erectile dysfunction. Amlexanox has been sold in drug stores for the past 15 years as an ointment for canker sores. The research, however, shows that it can also alter the genes that control metabolism. The reason a low calories diet tends to be ineffective is because the body adjusts to the calorie restriction by slowing metabolism. Amlexanox has shown – for mice at least – that it has the capabilities of speeding up metabolism regardless of diet. Researchers are already making arrangements to test the effectiveness of the drug on humans, which is expected to take place later this year.